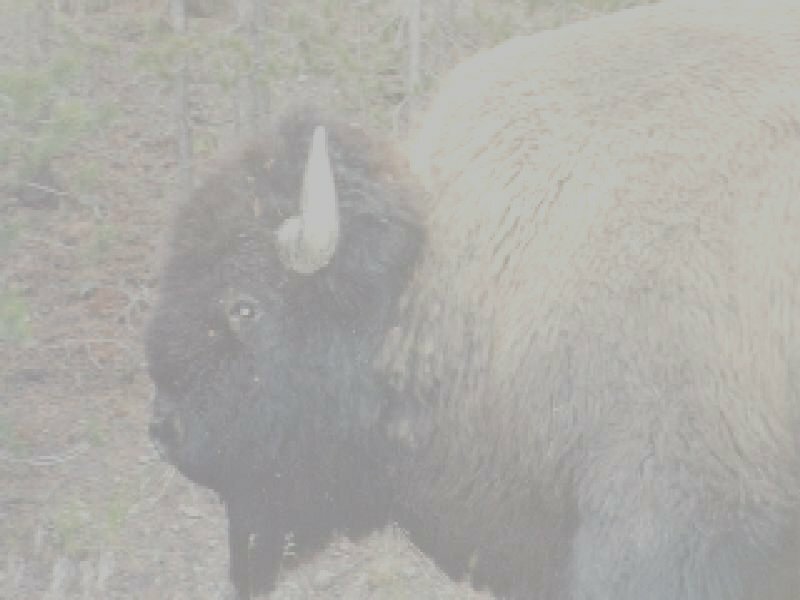 his picture was taken from the top of the hill where the "Bighorn Battlefield National Monument" stands (prior to 91 it was called Custer's Monument). It is looking down across the valley where the Little Big Horn Battle took place. 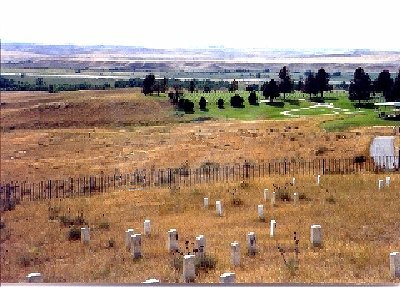 In the foreground is part of the original cemetary where the remains of Custer's troops lie buried today. In the far distance hidden by the grove of trees is where the Lakota nation was encamped on June 25th, 1876. Unknown to Custer when his 7th calvary made their pre-dawn raid was that there were over 5,000 sleeping indians in the village. The assault against the village was made with about 140 troops.